The Inspirada community is where neighbors aren't just neighbors, they're your friends. Residents come together for a variety of fun community events, and there is always something for everyone! The fresh52 Farmers’ Market at Inspirada is a friendly, open-air market showcasing more than 35 choice vendors with organic produce, freshly baked goods, gourmet items, artisan wares, and more! fresh52 not only brings the freshest produce to Inspirada, but also artisan crafts like herbal and holistic oils, soaps, remedies, art, and jewelry. 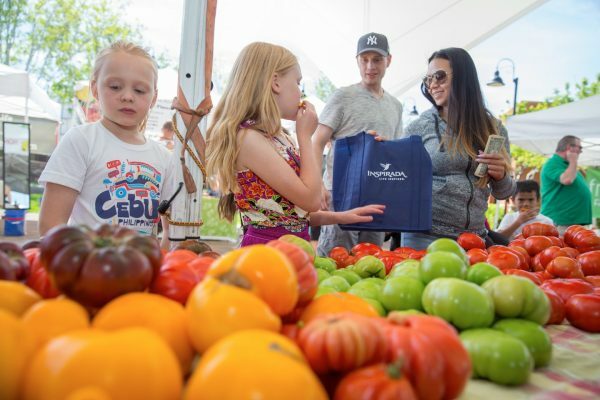 Once you’ve had enough fun at the farmers’ market, check out the rest of amenity-packed Inspirada to find out why our residents find it so special. Be sure to share your photos using #MyInspirada, see you there!